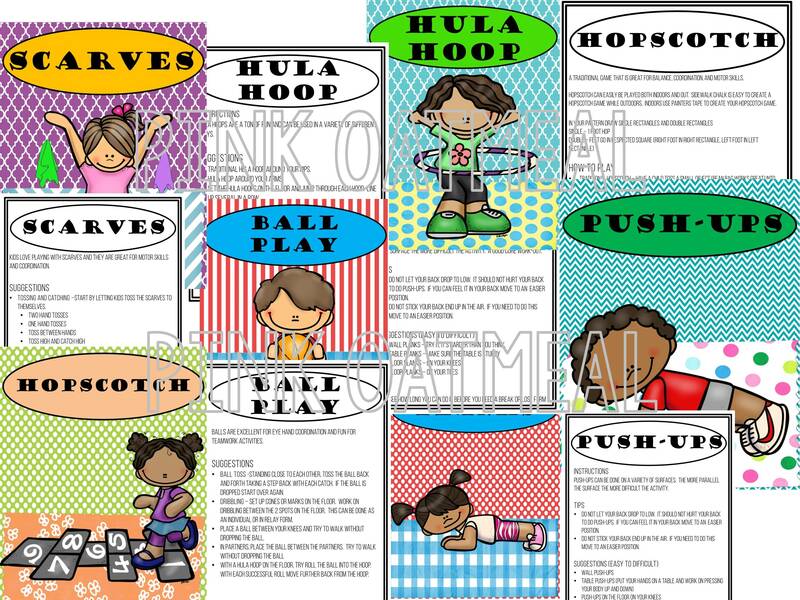 All the information and set up materials for PE stations. 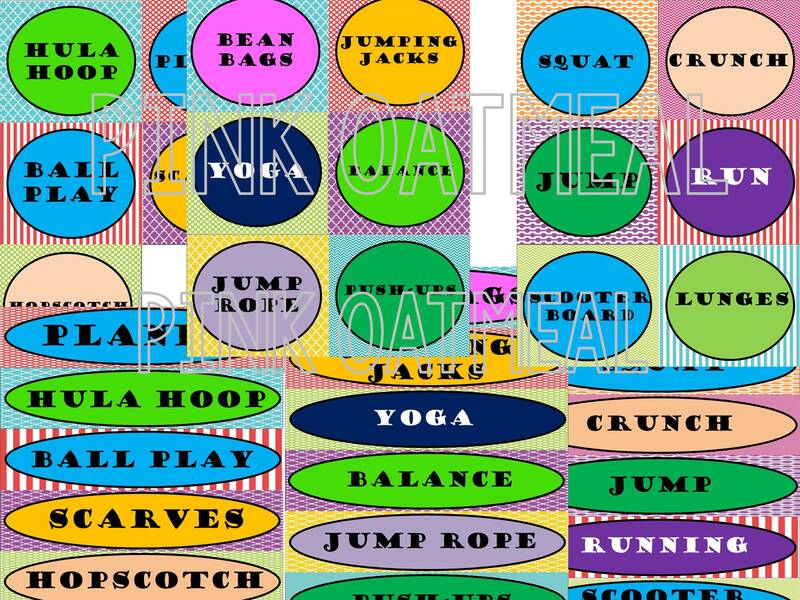 These would also be great for fitness activities or to use a few of stations as part of your workshop or centers as a brain break. 16 different station set ups and descriptions included. 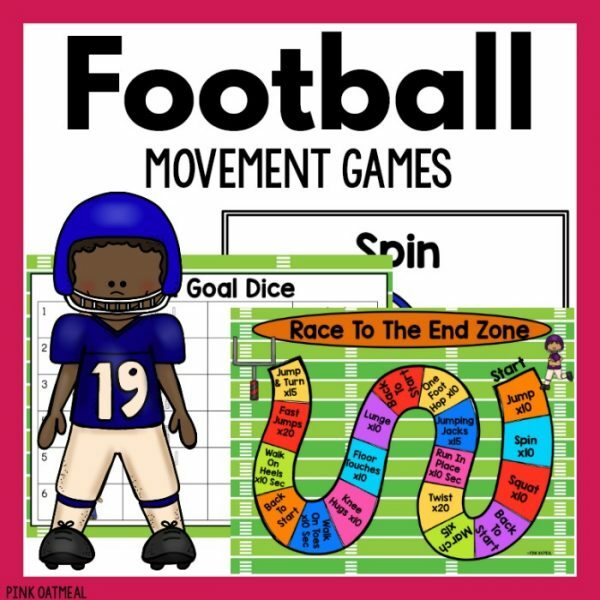 Print, Cut out, laminate – use materials to make a movement station for your classroom. 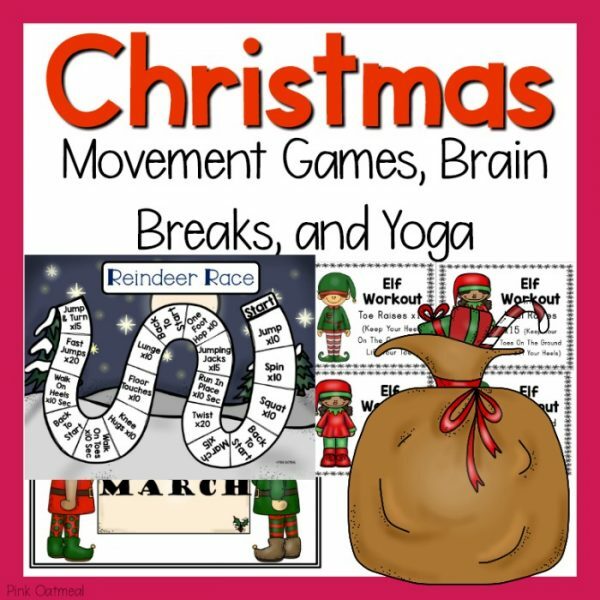 Use different suggested moves each week. 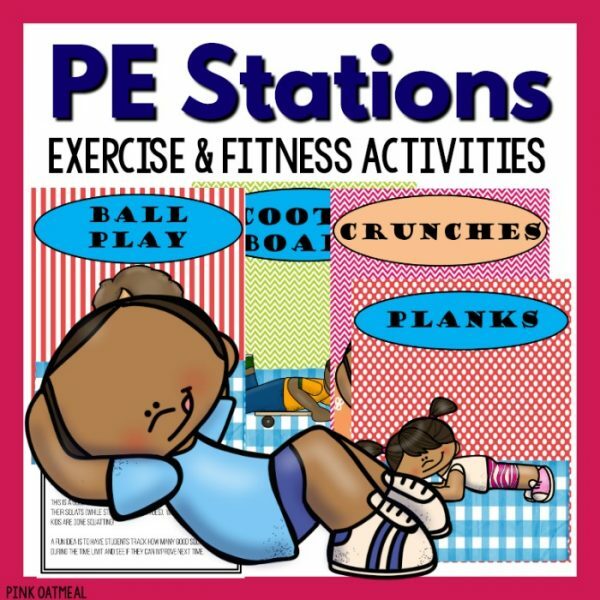 Rotate stations daily or weekly. Be creative in how you utilize the stations. Perfect for everyone! hese stations are particulary great for K-4th as they have fun activities such as scooter boards, scarves, and hopscoth included. 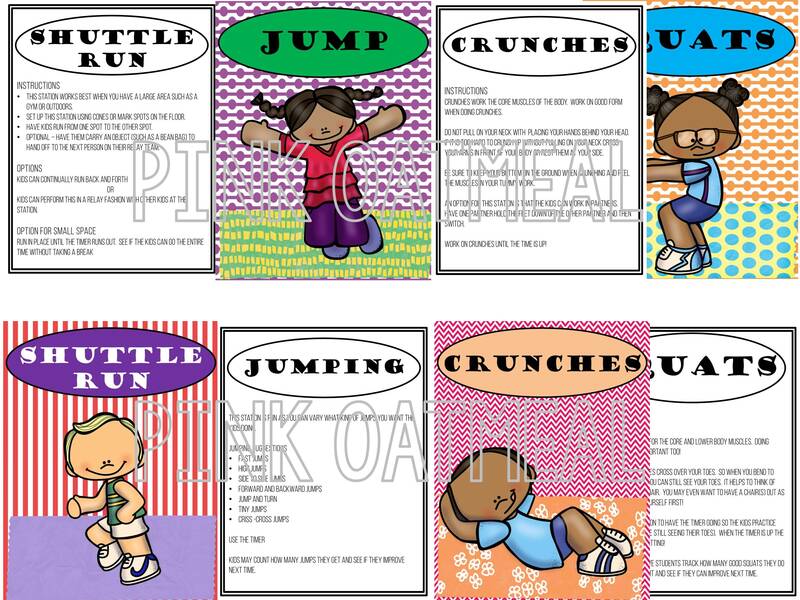 They work for physical education, classroom, and therapies. 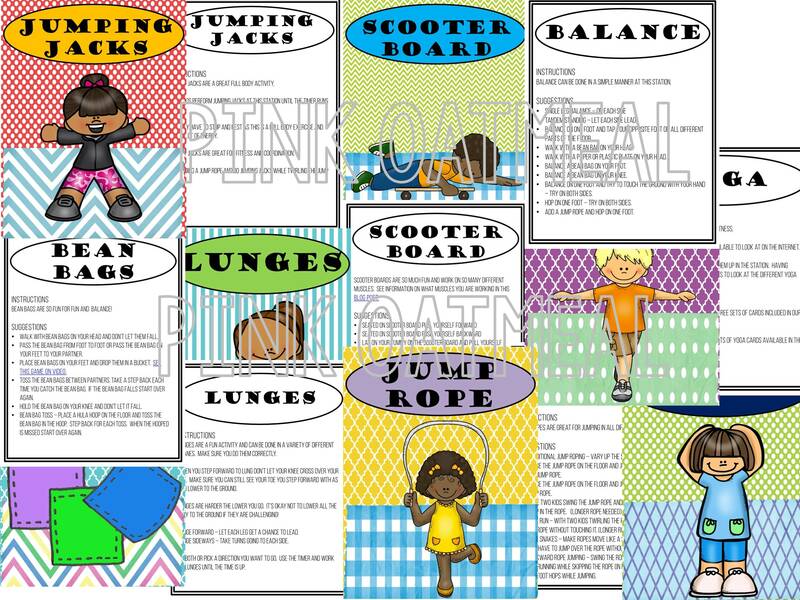 Use these in physical education. 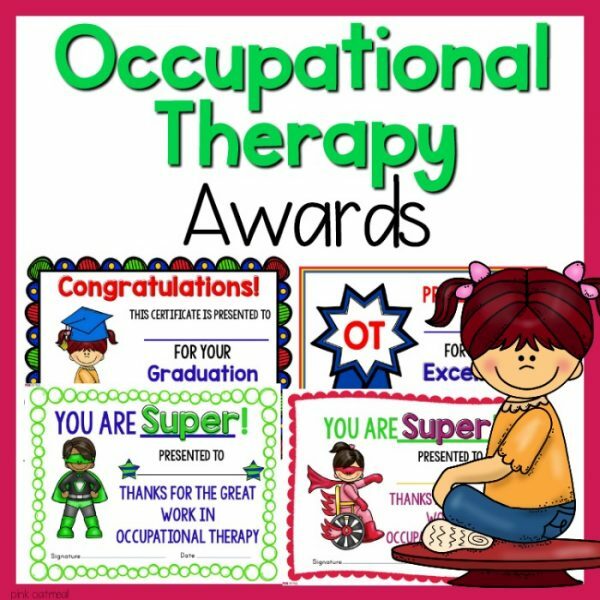 They are also great for physical therapy or occupational therapy.Use them as part of math centers, literacy centers, workshop. 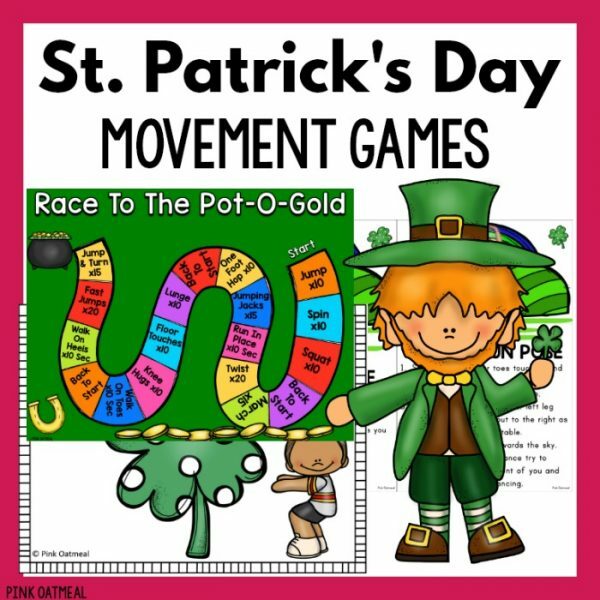 Kids need to move and we need to make this a constant part of the school day! Instructor Information: Descriptions Instructions and Suggestions for how to use each station included.